Camden People - Adam Kolb Sr. & Adam Kolb Jr.
ADAM KOLB SR. was born in Berlin, Germany in the 1812. By the mid 1840s he had wed, his wife Mary Magdalena being 16 years his junior. They were living in Pennsylvania when son Adam Jr. was born in 1846. The 1860 Census shows the Kolb family living near Chews Landing in what was then Waterford Township NJ. The census states that Adam sr. was working as a tailor. Both Adam Sr. and his son Adam Jr. enlisted during the Civil War on the same day, October 14, 1862 and served together in the same unit, Battery M, 3rd Pennsylvania Artillery. They both mustered out on October 14, 1865. After the war Adam Kolb Sr. and Adam Kolb Jr. returned to New Jersey, reuniting with their wife and mother. The family came to Camden NJ, and by 1870 Adam Sr. was the proprietor of a bar at 302 Spruce Street. Adam Jr. lived at home, working as a laborer. Sadly Adam Kolb Jr. passed away in 1872. Adam Kolb Sr. died between April 5 1877, when his will was dated and April 23, 1877, when a document states that his wife “Mary Magdalena Kolb” is now executor of the deceased Adam Kolb’s estate. He was buried with his son in lot #466 of Old Camden Cemetery. Adam’s April 5th will left his money and “real estate” to his wife Mary Magdalena Kolb for the remainder of her natural life. Upon her death, half was to go to the Trinity German Lutheran Church in Camden and half to the Children’s home in Germantown. Mary Magdalena could not write and signed with her mark. Mary Magadalena Kolb remarried on August 29, 1878. Her second husband, John Daniel Hahn is listed in Chew's 1878-1879 Camden City Directory as a hostler, residing at 21 North 4th Street. The 1878-1879 Directory shows John Hann at 1159 Sycamore Street. The 1881-1882 Directory shows John Hann as a saloonkeeper at 120 Market Street, a bar which had been run by a Lewis Linkenhiel when the 1880 Census was enumerated. Subsequent entries in the City Directories are quite interesting, and point to a conclusion that Mary Magdelean Kolb and her second husband may have parted ways. The Howe’s Camden Directory of 1885–1888 lists "Kolb, Mary, widow of Adam, home 1159 Sycamore". Howe’s Camden Directory of 1884-85 has a listing for "Hahn, Daniel, home 618 N. Front". This indicated that John Daniel Hahn is living with his married daughter Christina Dellmuth, whose husband, Henry Dellmuth owned a bakery. John Daniel Hahn died on February 11, 1886 in Philadelphia at the house of another daughter. According to the Camden Lutheran Church record he left his widow, Mary. Hahn, exactly $1 in his will. He was buried at Old Camden Cemetery. Mary Magdalena Kolb Hahn died in June of 1889 and was buried at Old Camden Cemetery on June 27, 1889.. Howe’s Camden Directory for 1889, in its commercial listings for Meat Markets, reads "Kolb, Mary, 133 Kaighn Avenue." Third Artillery. - Col., Joseph Roberts ; Lieut.-Col., R. V. W. Howard; Majs., John A. Darling, J. S. Stevenson, F. Von Schilling, John A. Blake. Philadelphia, and was mustered into the U. S. service at various periods during the latter part of the year 1862 and the early part of 1863. Cos. A and B had been organized as a battalion of marine artillery in 1861 by Hermann Segebarth, and garrisoned Fort Delaware. Late in the summer of 1862, authority was given Col. Segebarth to increase this battalion to a full regiment of heavy artillery and batteries D, F, G and H were recruited during the fall and winter and mustered in for three years. 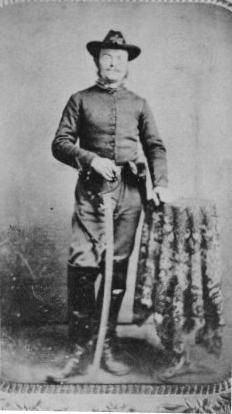 In Sept., 1862, Maj. Roberts, of the 4th regular artillery, was authorized by the war department to raise a picked battalion of artillery for service at Fortress Monroe and as fast as the companies were organized and mustered in they were sent to that point, where they were drilled in infantry, light and heavy artillery tactics. Suffolk throughout the siege. Every company except H furnished detachments for service at the front in the campaigns of 1864-65, and they were engaged on the James, Chickahominy and Nansemond rivers in numerous battles, as well as in the capture of Fort Fisher. of the James before Petersburg, being stationed at Bermuda Hundred; Co. E, with others, under command of Capt. Hazard, was posted at Fort Converse, covering the pontoon bridge across the Appomattox. Many details were furnished for work on the fortifications and for duty in the various arms of the service. every branch of the service, it was enabled to furnish details when called upon for every branch of the artillery service, as well as in the infantry and naval arms. The regiment was mustered out as follows: Cos. A and B, at Fortress Monroe, Va., July 11, 1865; C0. H, at Baltimore, Md., July 25, 1865; the remaining companies, at Fortress Monroe, Va., Nov. 9, 1865. Fought on 16 Oct 1863. Fought on 1 Feb 1864 at Smithfield, VA. Fought on 16 Feb 1864 at Smithfield, VA. Fought on 15 Apr 1864 at Norfolk, VA. Fought on 17 Apr 1864 at Plymouth, NC. Fought on 20 Apr 1864. Fought on 9 May 1864 at On Gunboat "Brewster". Fought on 14 May 1864. Fought on 18 May 1864. Fought on 5 Jun 1864 at Gaines Farm, VA. Fought on 22 Jul 1864 at James River, VA. Fought on 29 Jul 1864 at Petersburg, VA. Fought on 8 Nov 1864 at Petersburg, VA. Fought on 13 Dec 1864. Fought on 17 Dec 1864. Fought on 23 May 1865. Adam Kolb Jr. & Adam Kolb Sr. 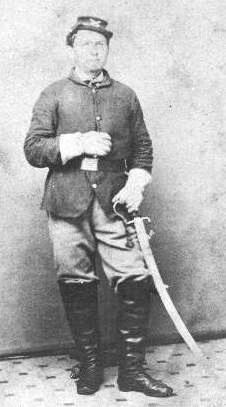 The younger man with the round face and the Artillery cap “could be” Adam Kolb, Jr. The second photo could be Adam Sr. I got these photos in 2001. He does look like he could be 44.